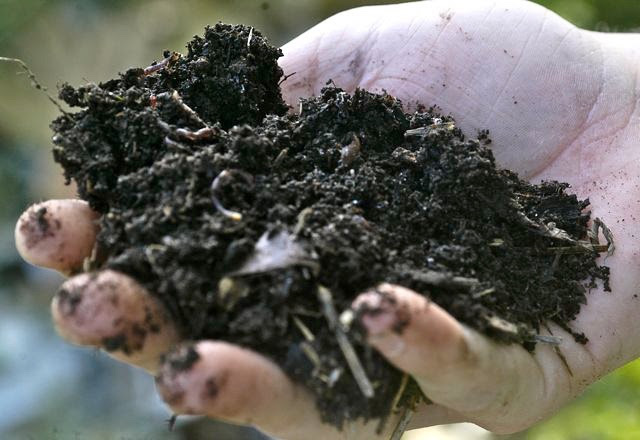 Learn about one of the components of the Korean Natural Farming method of cultivating indigenous microorganism to maintain soil fertility with no external inputs. David will show how he makes lactic acid bacteria (LAB) and uses it for faster composting, odor prevention, soil fertility and foliar sprays. David will also provide free samples of LAB to participants! You took our GoFundMe campaign over the top! A few years ago, on a hot afternoon in mid-May, I was planting cucumber seedlings with a friend. 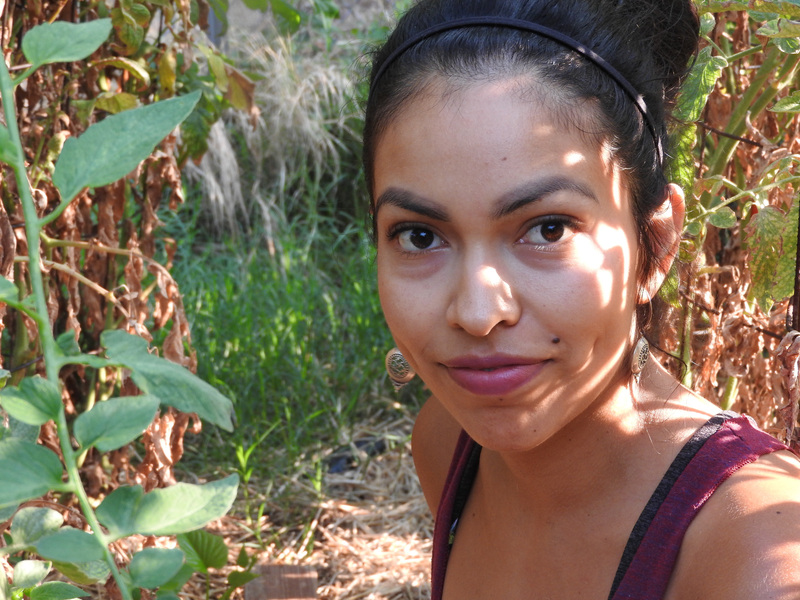 She taught me to smell the root balls as I was planting; the roots smell just like cucumbers! Even a quick whiff of that crisp, invigorating scent made me feel a few degrees cooler.And that is the magic of cucumbers. Hidden inside that plain green envelope of waxy skin is a marvelously refreshing vegetable with endless appeal. Cucumber sandwiches, homemade refrigerator pickles, or chilled cucumber avocado soup, anyone? How about cucumber-lime sorbet? Or this Super Simple Cucumber Salad? I never tire of panzanella salad, made with summer’s bounty of tomatoes, cucumbers, basil and arugula. This is our first summer with our beautiful new hoop house. 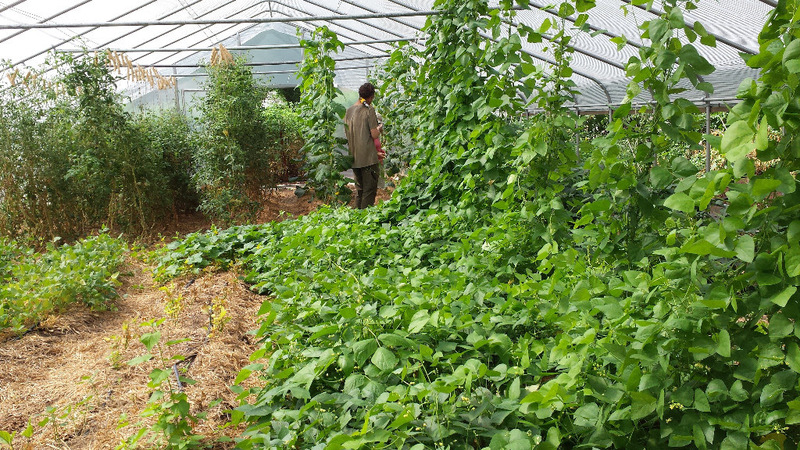 We put a shadecloth over it, so it’s cooler inside, and we’re growing tomatoes and cucumbers vertically on trellis strings that hang down from the trusses. 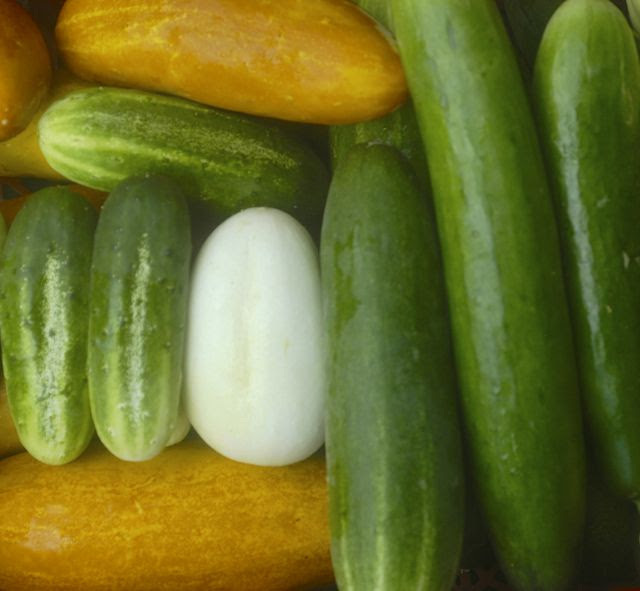 Inside that protected environment, cucumbers are supposed to grow like gangbusters, producing long, beautiful fruit—and, ha!—they are! 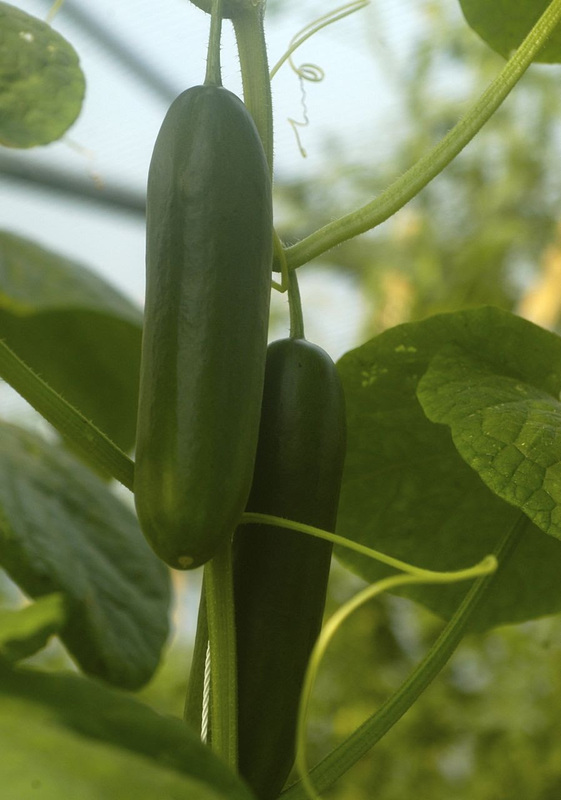 Outside, we succession plant cucumbers through the summer to extend the harvest, allowing new plants to take over when older plants succumb to bugs or disease. Wire fencing provides an easy and inexpensive trellis. Our third apprenticeship season will begin September 5. Deadline for application is August 25, 2017. The Assassin bug—cool name right? Yeah, cool name. The assassin bug is a general term for a rather large family of true bugs in the Reduviidae family. As the name suggests, they are predatory insects. You might think of them as your own personal garden ninjas or knights, as they are highly beneficial to growers.There are roughly 150 species in North America alone. Of these species, the Wheel bug is the largest, sizing in at approximately 1¼ inches long. 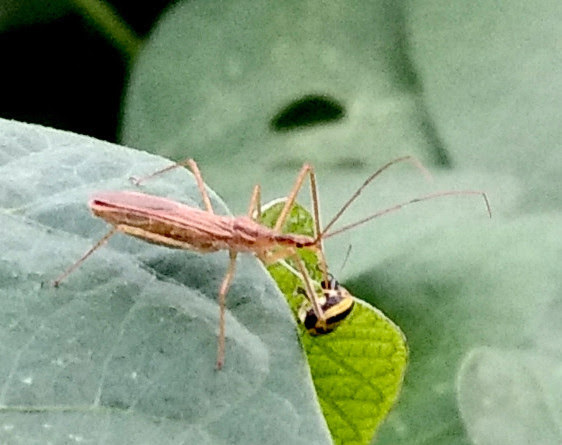 Great care should be employed with the handling of assassin bugs, Wheels in particular—or perhaps avoidance entirely, as they will bite if handled carelessly. The bite is known to be intensely painful. 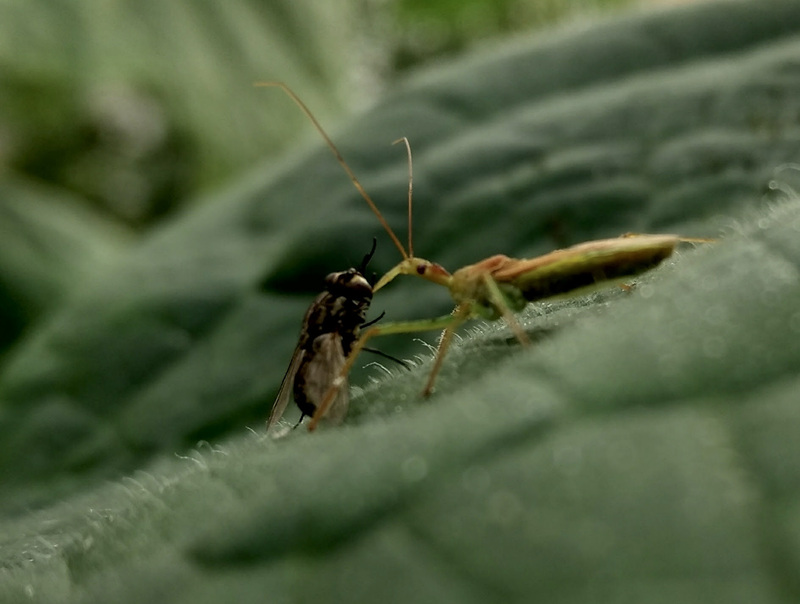 Assassin bugs prey on a great variety of garden pests including flies, mosquitoes, beetles and caterpillars. They use a long, protruding and piercing mouthpart known as a beak. Assassin bugs catch and puncture their prey, injecting salivary secretions that then dissolve the prey’s internal tissues. I believe the proper scientific term is: gooification. Yes, that sounds right.